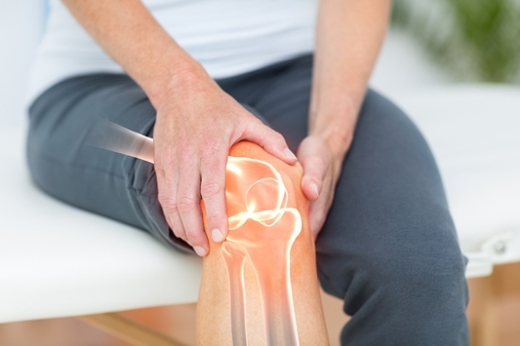 Primary osteoarthritis is a debilitating disease largely affecting the aging population. It is characterized by extensive damage to joints, excruciating pain leading to loss of activity, and, in extreme cases, depression. The Emory Orthopaedics & Spine Center, in partnership with Sanford Health, Duke University, Andrews Institute and Georgia Institute of Technology, received a $13 million grant from The Marcus Foundation for a multicenter clinical trial studying various stem cell options to treat osteoarthritis. Led by principal investigator Scott D. Boden MD, professor of orthopaedic surgery at Emory University School of Medicine and director of the Emory Orthopaedics & Spine Center, the research team will compare traditional cortisone injection outcomes to outcomes using stem cell injections from autologous bone marrow concentrate (from a patient's own bone marrow), manufactured stem cells from umbilical cord tissue, and adipose-derived stem cells (fat-storage cells). "One of the multiple strengths of this trial will be the unique opportunity to correlate actual clinical data with comprehensive characterization of all the cells that will be injected in each patient,” explains Hicham Drissi, PhD, scientific program director for the study and vice chair for research in the Department of Orthopaedics. Primary osteoarthritis is a debilitating disease largely affecting the aging population. It is characterized by extensive damage to joints, excruciating pain leading to loss of activity, and in extreme cases, depression. These symptoms further enhance associated costs of care for related issues such as treatment of diabetes, depression and other secondary consequences of osteoarthritis. There are also lesser-recognized health effects and burdens to caregivers due to loss of independence and daily function. “Because of the pain associated with this disease and the lack of non-operative treatments to alleviate its consequences, there is an urgent need to further develop non-conventional therapeutics such as stem cell injections to eradicate the burden of such chronic disease,” says Ken Mautner, MD, site principal investigator at Emory.